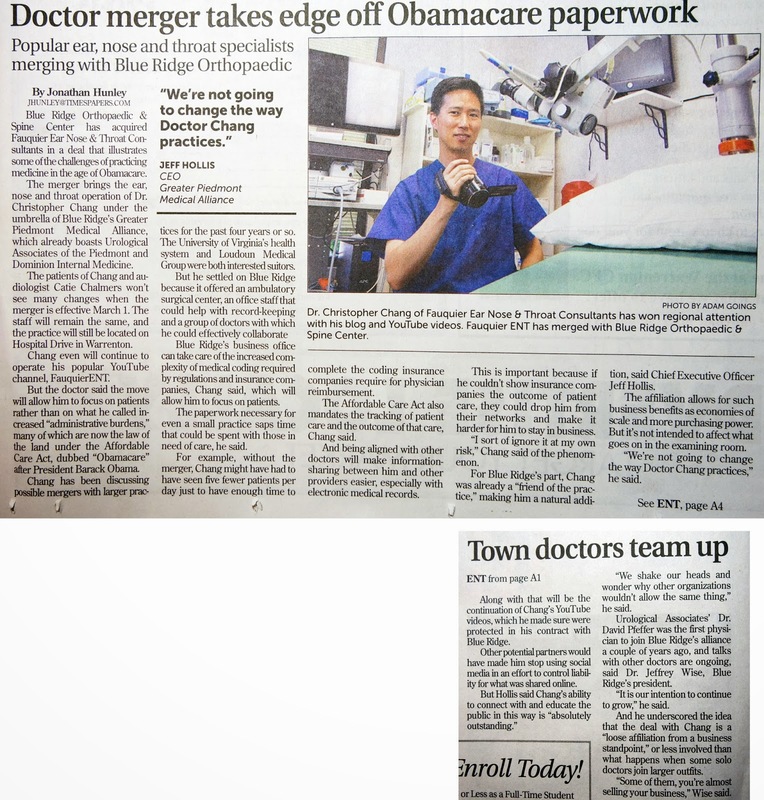 On January 31, 2014, Dr. Chang made front page news of the Fauquier Times local newspaper with his planned practice merger with Blue Ridge Orthopaedics and Spine Center to become part of the Greater Piedmont Medical Association. With this merger, he will be also joining Dominion Internal Medicine (Drs. Robert Lin and Michael & Jennifer Ackerman) as well as Urological Associates of the Piedmont (Dr. Pfeffer). In spite of this merger, the practice name, addres, location, staff, phone number, etc will all still remain the exactly same.